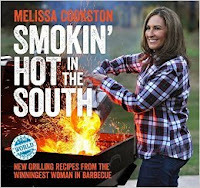 With the grill and smoker as her go-to tools, chef Melissa Cookston—named "One of the most influential pitmasters in America" by Fox News, and one of the "25 Super Women in Business" by the Memphis Business Journal in 2015—shares her all-new, modern interpretations of traditional Southern ingredients and recipes. Melissa explains how the culinary traditions of the South—long a bastion of slow-simmered vegetables and deep-fried everything—have expanded in the last decade to embrace Southwestern flavors, Asian spices, and the French palate.The nine chapters venture beyond the competition and barbecue principles of her first book and focus on instilling flavor with fire, using fresh herbs, and diversifying seasoning components in recipes that reflect the New South. She fire-roasts homegrown green tomatoes for a spicy take on a traditional pizza sauce and uses a barbecue smoker to add Southern nuance to porchetta. Also includes recipes for Butterbean Pate, Asian Pork Tenderloin with Watermelon Rind Pickles and Minted Watermelon Salad, Deep South Burgers with Pimento Cheese and Fried Green Tomatoes, Bacon-Wrapped Scallops with Blood Orange-Jalapeno Glaze, Mini Sage Biscuits with Homemade Sage Butter, and Caramelized Fig Clafoutis. 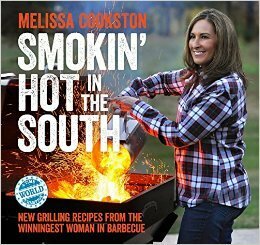 She also covers the tools, techniques, and ingredients needed to be successful grilling or smoking at home. 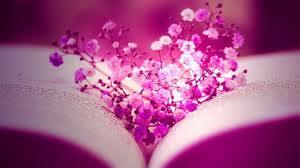 This book will not leave you hungry!